The store is beautifully designed, and has plenty of seating inside and out. Its brick walls are adorned with bright pictures and funky chandeliers are hanging from the ceiling. Their product line is slightly expanded from the other Cupcake stores as well. 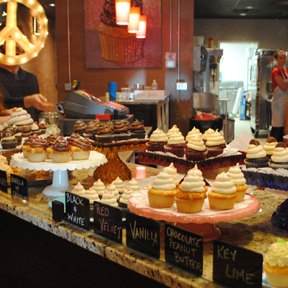 They still do offer all five everyday flavors and four specialty flavors of cupcakes, but they also have cake pops, Chocolate Moose Pies, Tira Moose-Sue, Salted Caramel Banana Pudding, assorted pie pops, and other baked goodies. 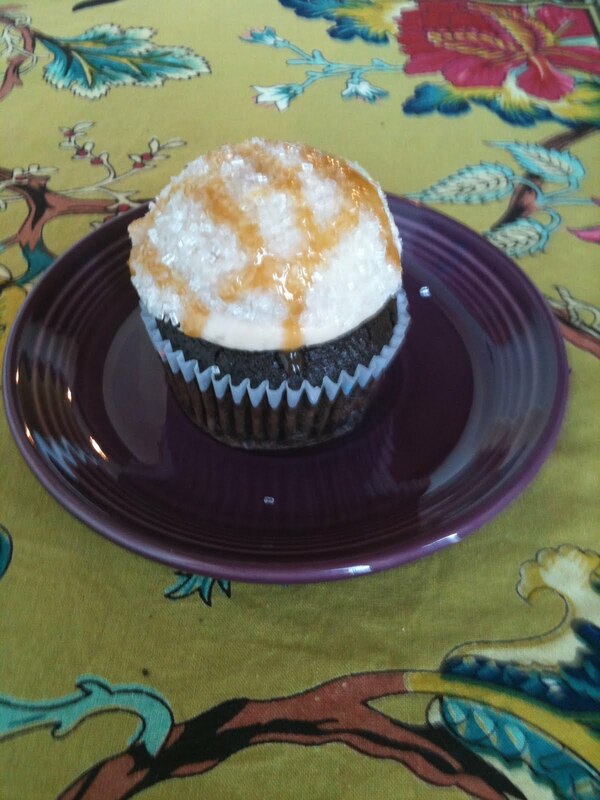 To see which cupcakes The Chocolate Moose offers by day of the week, click here. All items are very reasonably priced, with almost everything under $3.00 including tax. It's a chocolate cake with caramel cream cheese icing, dipped in a sugar and salt mixture, and topped with caramel. It's okay if you're salivating, I am too. 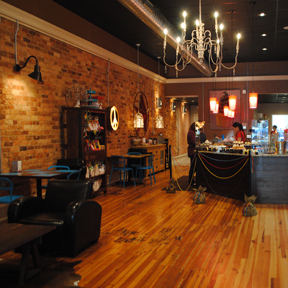 The Chocolate Moose is located at 120 N. Main in downtown Greenville. They're open 8am-8pm Monday-Wednesday, 8am-10pm Thursday-Saturday, and 11-5 on Sunday.